Feeling a bit uninspired, so a walk down Michigan Ave was in order for the evening. 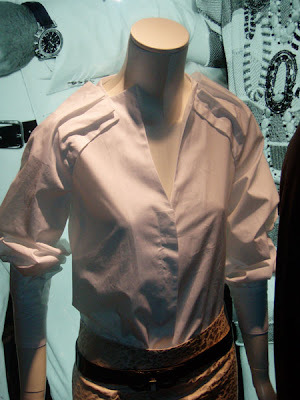 The Ferragamo store dressed their windows with the most perfect white button-down for summer. Note to merchandiser, please steam your garments. I love the clever pleating at the shoulders.